Soft lines and light volumes, the back joining with the armrests and a structure supported by legs in burnished metal. Aplomb a superb and practical modular seating system with a huge choice of upholstery options from lush velvet to top quality leather. This is a functional and elegant sofa bed will work with both contemporary and traditional room styles. Zed revisits the concept of space; the angled armrests and the asymmetrically shaped pouf are enhanced by the contrast stitching along the edges. The Oliver sofa is available in three sizes. There are many options for the upholstery which include several categories of fabric and leather. 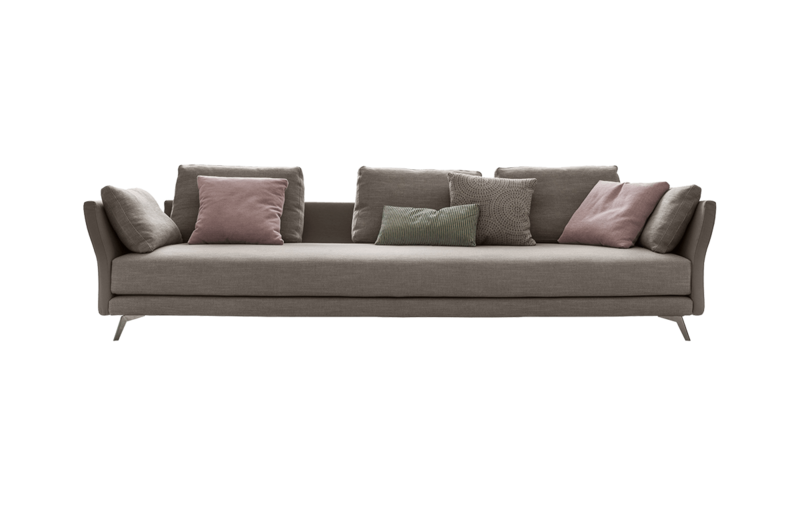 The Simon Slim sofa has a slim frame, with large comfortable cushions. The options for the upholstery are endless, including lush velvets and top grade leathers.